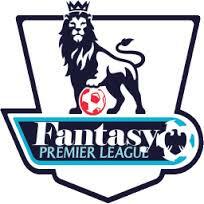 To celebrate the start of the football season we are hosting a Premier League Fantasy Football competition. We would like as many of our Clients, Staff, Workers and Contacts to take part and try to beat the team that we have chosen (nothing wrong with a bit of healthy competition). Set up a team for yourself or your business and invite your colleagues to follow the team and share in the highs and lows of the season. It’s very simple to do. Follow the link https://fantasy.premierleague.com and then follow the instructions to register. You will have a budget of £100m to pick a squad of 15 players from the Premier League. Once you have picked your team you can join the “QS Recruitment League” by entering the following pin 486199-144843. We have been told by the “expert panel” at QS Recruitment that they are so confident that their team cannot be beaten; we will give a bottle of Champagne to every team that is placed higher in the league than our team on Christmas day. In addition to this there will be end of season prizes of £200 for the first place, £100 for second and £50 for third. Come on; get the spirit of competition flowing and join to beat us……it could be fun!